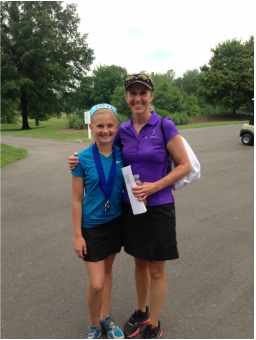 Choose Maria Palozola for Junior Golf Lessons in the St. Louis area. Whether your junior golfer is just learning the game, wanting to play for fun or has aspirations of the junior tour and collegiate golf, Maria has the skills, experience and programs for juniors of every age, skill level and gender. Maria believes in treating all students whether adult, child, male or female like an athlete and with respect. Click Here to Book Private Golf Lessons with Maria . For Junior Camps, Clinics and Programs see below. Looking for Private Lessons? Book Junior Golf Lessons with Maria or her staff Now! Schedule a Lesson or Program! Note: Read about Maria's junior golf programs below, but for more detailed information hover over the "Junior Golf" tab to see a drop down page for each individual program. Maria is the USA National Junior Golf Team Regional Director and Certified Coach for St. Louis County and surrounding areas. The USA National Golf Team program is a developmental program for competitive juniors that desire to be nationally ranked players and eventually seek a D1 collegiate scholarship. 5 levels are taught from Developmental 1 (beginners) all the way up to the Elite level where golfers will have the opportunity compete in national and international events against countries like Scotland, Mexico and China. The program is open to juniors ages 6-18, male or female and runs 10 months out of the year. The first 2 levels meet 8 hours per month and the top 3 levels meet 12 hours a month. There is a monthly fee for the program and Maria runs her chapter on Thursday evenings and Saturday afternoons. "USA Junior National Team curriculum and world-class instruction with Maria Palozola and StLouisGolfLessons.com is an enticing combination for USA Midwest players seeking a structured pathway to reach their full potential in golf. USA Junior National Team members will receive customized technical, tactical, physical and mental training as they transition through the benchmarks of the USA Junior National Team curriculum." - Tom Relf, USA National Junior Golf Team Director. Maria is a Top 50 U.S. 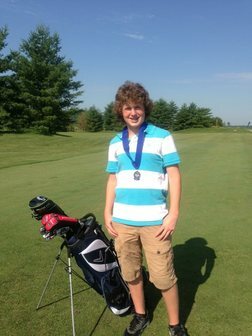 Kids Golf Certified Coach and offers junior camps in Spring, Summer and Fall at the Big Bend Golf Center and The Family Golf & Learning Center. U.S. 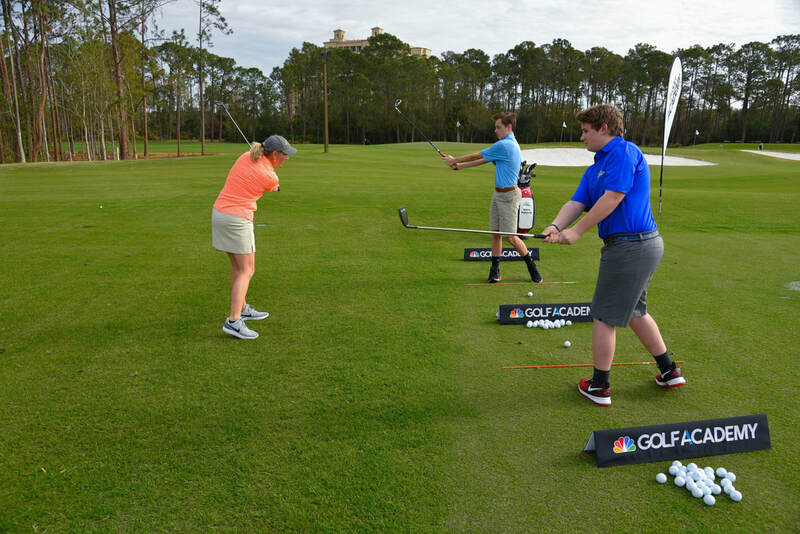 Kids Golf is a research based learning program that incorporates achievement pins and levels to advance the junior golfer through various learning stages. While she incorporates the U.S.Kids program into her camps Maria adds much more to the program and caters to the individual skill level and learning style of child. Whether the junior is a rank beginner or a more skilled player they will advance their skills through the camps with instruction, skill building games, friendly competition and team activities. Full swing, short game, putting, etiquette, rules and on course strategy are covered in every session. 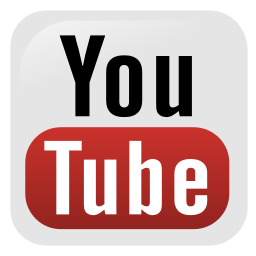 The Program includes video analysis and weekly practice plans. Maria and her team of instructors conduct After School Golf Programs at various private elementary schools throughout the St. Louis Area. The program utilizes world renown SNAG (Starting New to Golf) and U.S. Kids golf equipment and teaching techniques to bring the game of golf to young children in grades K-4th. The program is conducted right on the school's property either in the gym, on the field or on the parking lot. If you'd like to register for your school's program or bring a program to kids at your school click here for more information. 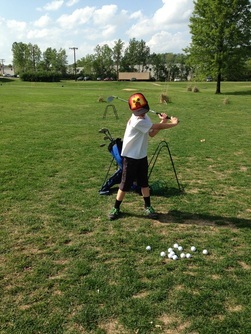 After School Golf Programs. ​St. Louis Golf Lessons offers Saturday morning junior golf clinics for juniors at the Big Bend Golf Center March through October!!! Tailoring her instruction to the individual, Maria works with each and every student to develop an improvement program around their personality, physical capabilities, time constraints and individual goals. She sees nourishing a junior golfer as a pleasure, a privilege and a challenge because a good golf instructor can be the difference between a child or adolescent quitting the game or learning to love the game of a lifetime. 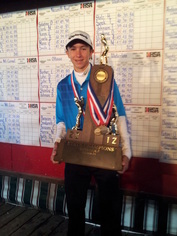 Maria started competing in district and statewide junior golf tournaments at the age of 7. She qualified for the National Junior PGA, won the Missouri High School State Championship, won high school districts, won the Ken Lanning Junior Championship, competed on the Missouri 4 State Team and was an All Conference Player at a Division 1 university. Maria has coached golf at a Division 3 college in Chicago and locally in St. Louis at a private high school (Barat Academy), and a public high school (Kirkwood). She has coached several accomplished students including multiple conference champions, state champions, national qualifiers and collegiate scholarship recipients. She is currently the LPGA-USGA Girls Golf site director for St. Louis and was also a director in Chicago.